Two UCF programs to assist students transitioning to the university were recently recognized for their successes by the National Resource Center for the First Year Experience and Students in Transition. Foundations of Excellence, a multiyear process with the John N. Gardner Institute for Excellence in Undergraduate Education, which is designed to raise awareness of transfer-student issues and shape the university culture to accommodate transfer students. The program has implemented several programs to benefit students, including a redesigned transfer orientation and first-year transition process, a campus transfer-philosophy statement, faculty and staff engagement in transfer-success initiatives, and new processes for transfer-credit evaluation. The partnership of Valencia College and the university through DirectConnect to UCF, which is a regional program to ensure the completion of a bachelor’s degree. The program guarantees university admission to students who earn an associate degree, and includes streamlined admission processes, advising and curriculum alignment to ensure completion of the bachelor’s degree. 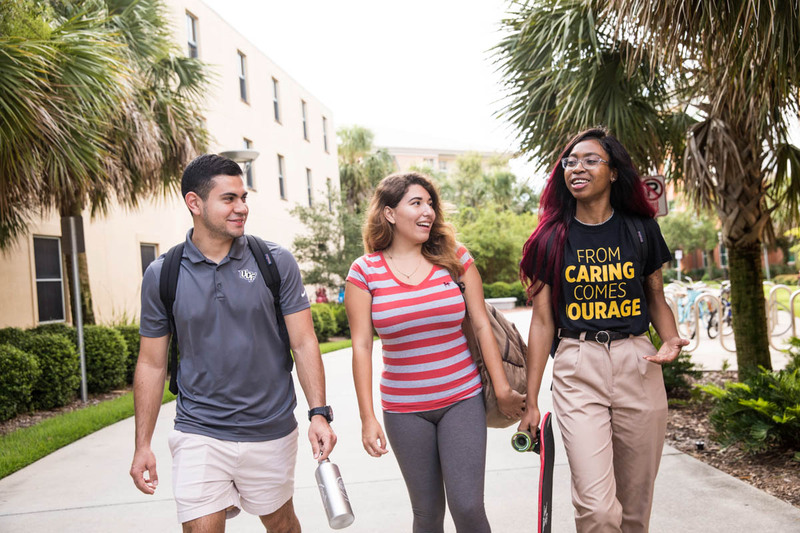 Since 2006, there have been 62,000 DirectConnect to UCF transfer students who have enrolled and 46,137 bachelor’s degrees have been awarded, a 74.4 percent graduation rate. This semester, UCF has 30,145 transfer and first-time students, representing about 44 percent of the university enrollment. The only other university to be recognized this year for its transition program was Kent State. Jennifer Keup, director of the National Resource Center for The First-Year Experience and Students in Transition, presented the award during the 25th National Conference on Students in Transition in Indianapolis. Keup said she anticipates the three institutions will help spark discussion and research on opportunities for learning and development for students in transition.